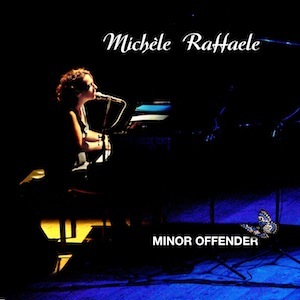 Class, refinement and originality: these are the key points of “Minor Offender”, Michèle Raffaele’s first work, an artist born and raised in Canada, who has recently moved to Italy, endowed with a particular voice, streaked with an aura of mystery. The tracks which compose her pop-jazz EP are inspired by the image of a fragile, vulnerable woman, who lets herself be taken in by the commanding frivolity of the contemporary era. Her being seductive reveals itself to be colder and colder and more and more complicated, at some points grotesque, leaving the protagonist at the mercy of an indefinite sense of bewilderment. Michèle’s hypnotic, ethereal, complex voice is accompanied by an elegant and sophisticated composition for piano in the title track “Minor Offender”.